Product prices and availability are accurate as of 2019-04-11 10:30:55 EDT and are subject to change. Any price and availability information displayed on http://www.amazon.com/ at the time of purchase will apply to the purchase of this product. 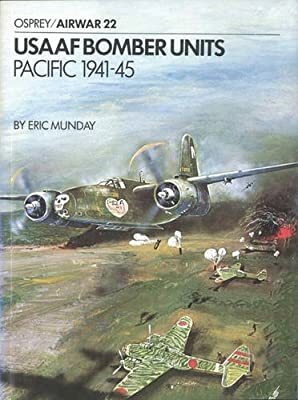 This book traces the combat histories of USAAF bomber units flying in China, Burma, India and the North and Central Pacific. The major aircraft types operated by the USAAF during this period are all covered, and their missions detailed. Aircraft markings and aircrew uniforms are shown in full colour illustrations.